Your business has great products, exceptional customer service, and excellent customer retention, and you’re exceeding your sales goals. Now what? Status quo won’t keep you ahead of your competitors for long, no matter how profitable your business is. Even if you’re on the right track, you’ll still get run over by the train if you just stand there. You know you have to do something, but what? You’ve already constructed the hardest part, the foundation. Don’t reinvent the wheel; build on the success you’ve already created. You don’t have to constantly launch brand-new products or services to keep your clients engaged. Building new features into your existing services or products is a great way to prevent your valuable customers from considering your competition. It also helps grab the attention of potential new clients, not to mention increasing your revenue per customer. Want some examples? Say you own a lawn care business and mowing lawns is your specialty. Adding other services like landscape design, gutter cleaning, and snow removal helps cement your relationship with existing customers, and you become the go-to source for all their property maintenance needs. Maybe you run a bookkeeping firm. Managing receivables, payables, reconciliations, and tax reporting makes a great business, but adding payroll processing or document management services helps to solidify your relationship with existing customers and bring in new clients. Another good example is accounting software providers. Adding features like providing your users with the ability to mail or email directly from their software, or generating automatic reminders to send past-due notices, sets you apart from your competition. 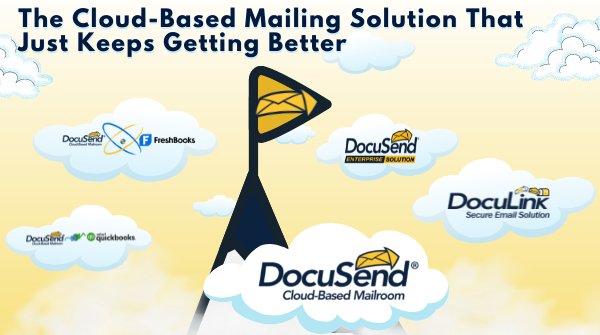 Providing the option to print and mail invoices and letters is easily done with DocuSend’s cloud-based mailroom. Its history is another example of how enhancing a product or service pays off: when we launched in 2015, we only handled black-and-white documents, and mailing addresses had to be lined up perfectly to fit within the window envelope. It worked fine for simple invoices and made our customers happy at the time, but was that enough? No! Like all services, we needed to grow to keep up with our customers’ expectations. After all, that’s who we rely on. Our customers constantly help position our products and services to grow in the right direction. Color printing? Certified Mail? Add an insert to your mailing? Done, done, and done. 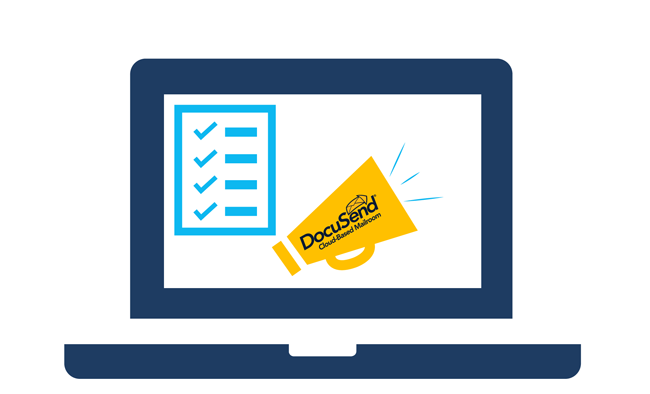 Not only did these additions help our users run their businesses more efficiently, they increased the revenue spend per customer for DocuSend. We think our latest upgrade is one of the best offered by any print-to-mail service. Companies can now create their own cloud-based mailroom with the ability to mail any 8 ½ x 11 PDF document their software generates, regardless of where the mailing address is located on the document—legal or government forms and tax documents included. We also expanded our enterprise solution services by developing an API that makes the integration process much easier than anything else out there. It’s perfect for billing, invoicing, or CRM software providers who want a recurring revenue stream and need to offer a simple print-to-mail service for their users in order to keep ahead of their competition. 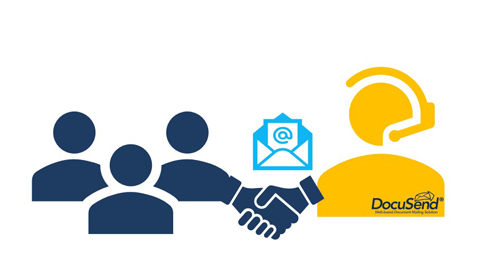 We can now provide mailroom services to our direct customers, while also fulfilling the distribution needs of our software-developer partners. 1. 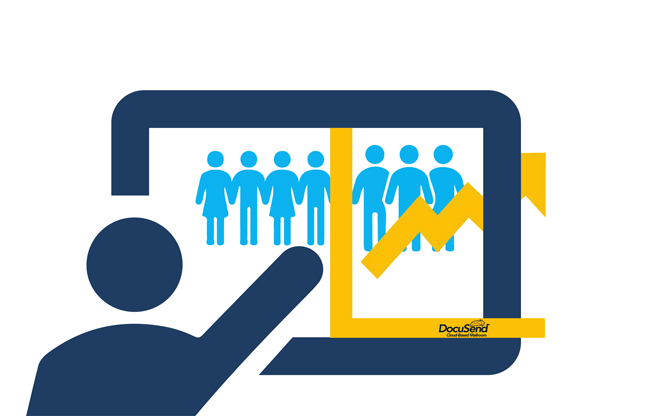 Customer Acquisition – bring new customers on board because you have a more robust product. • Potential customers shop your competitors and compare features and pricing. Offering a full suite of features adds value to your product or service and makes you stand out from your competition. 2. Customer Retention – existing customers will have less reason to shop around because you’re offering them features that make running their businesses easier. • Customers are less likely to be swayed by competitor’s pitches if you respond to their suggestions and regularly make updates and enhancements that help them. 3. Upsell – customers may use your products and services for more than originally intended by selecting the optional features you’ve added. 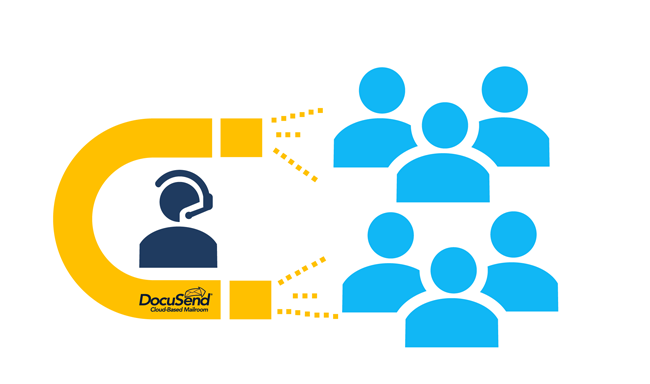 • You’d be surprised how many of our customers started by using the DocuSend mailroom exclusively for mailing their invoices, and now are sending their past-due notices, renewal notices, welcome letters, and other types of documents because there are no minimum volume requirements. And they use color printing as well as adding inserts as very inexpensive marketing tools to help grow their businesses. 4. Remarket – reaching out to past customers to let them know about the new features to encourage them to give you a second look. • Having new features is a great reason to communicate with past customers. Your messaging might get them to reconsider your product or service, especially if they’re not satisfied with their current provider or that provider doesn't offer your new feature. Sometimes timing is everything. 5. New Markets – New features help you tap into business prospects from new markets. • Growing your service offerings helps make your product more attractive to markets that might not have considered your service, allowing your sales team to expand into more vertical markets. 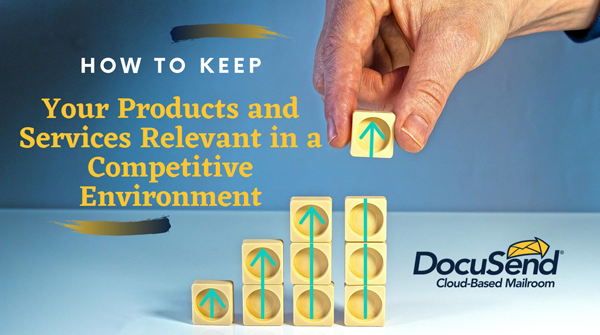 Continually enhancing and evolving your products and services consistently leaves competitors trying to keep up with you, and it positions your business as the one to beat, no matter what vertical market you’re in. Don’t let your product get stagnant. Keep moving and keep your customers happy. Happy customers equal a healthy bottom line. Please help other SMBs by sharing what methods you use to keep your customers happy and grow your business.